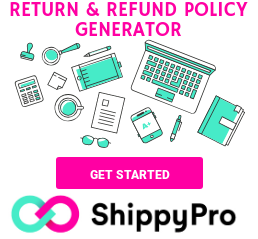 An Ecommerce Return Policy is the agreement where you inform customers about your policies regarding returns and refunds. Not a simple set of rules, but increasingly a real competitive weapon. As every seller knows returns can be like a double edge weapon, attacking profit margins, gutting conversion rates, and ultimately threatening your business. 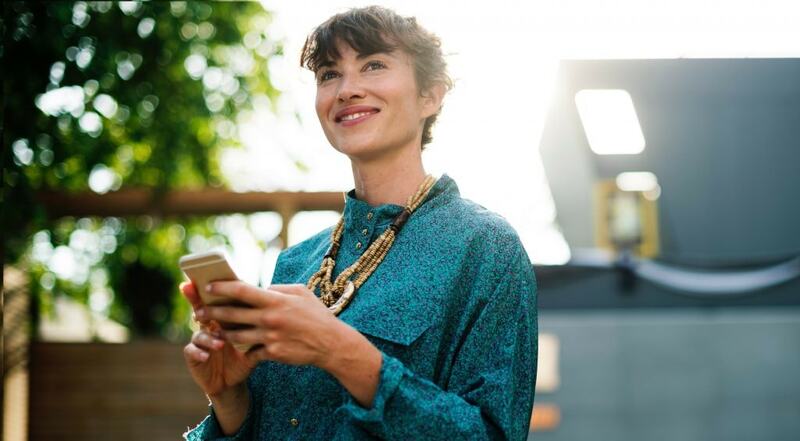 According to Forrester and Star Business Journal the cost of online and offline return deliveries, only in the US market, are estimated to cost $550 billion by 2020, with an increase of 75% compared to 2016. Going further ecommerce returns are growing even faster increasing 95% in the same period. Aggregated and complied data across industries confirm the previous data. 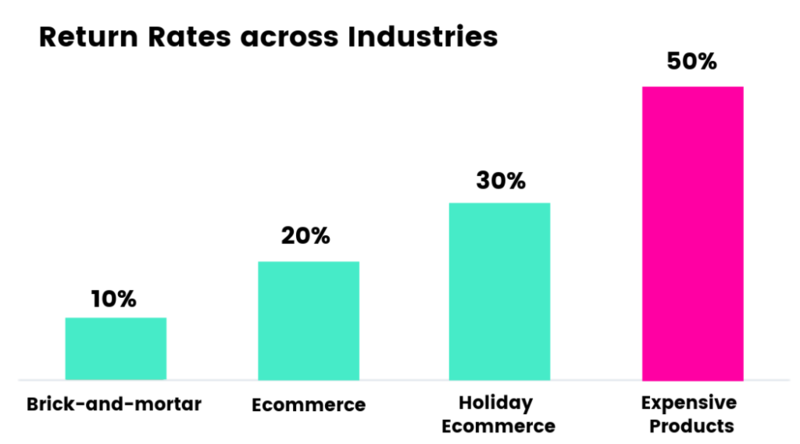 As we can see in the graph below, brick and mortar return rates amount between 8% and 10% while online return rates at 20%, more than double. The situation get worse if we look at ecommerce marketing holidays. During this period returns surge to 30% or even as high as 50% for expensive products. The real problem is that your customers are buying from you with the intention of immediately returning the items, making a speculative use of the return policies that companies have adopted. On the other side, companies are investing resources and money in personnel, warehousing and reverse-logistics technologies to stem these issues. Otherwise returns are the new normal and central to customer experience. But, they don’t have to be cancer, negatively affecting profitability. It can be tempting to try to eliminate returns. 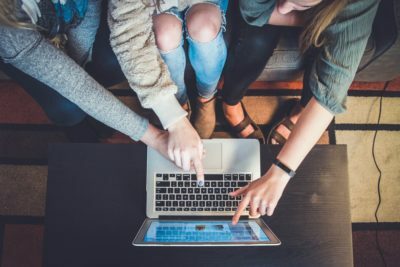 Writing a Great Return Policy for your Ecommerce is so important to balance the business and customer needs without damaging the conversion rate of the purchase funnel. 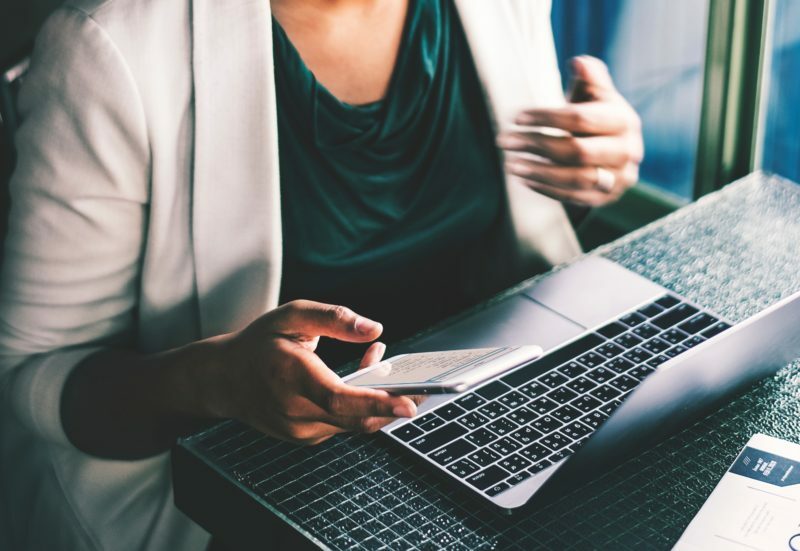 In the end, a clear Ecommerce Return policy shows that you, the ecommerce business owner, stand by your product, and pride yourself on a great customer service experience. 1. Don’t Hide your Policy, your customers should be able to find information quickly and effectively. In this sense, the best place to put your return policy is in the purchase confirmation emails. Being your customer’s biggest advocate is a great way to foster lifetime loyalty. 3. Tell the customers what they can expect from you, determine what is the best solution for your own business. You can even try to do a A/B test to see which policy works best in terms of conversion, customer satisfaction and, last but not least, profit. Does the customer need to use your packaging ora can they use their own? 5. Educate your staff and be prepared to mistakes. We all make mistakes but it is how you handle them taht matters. Remember that writing and displaying a clear policy reduce the time spent processing returns! 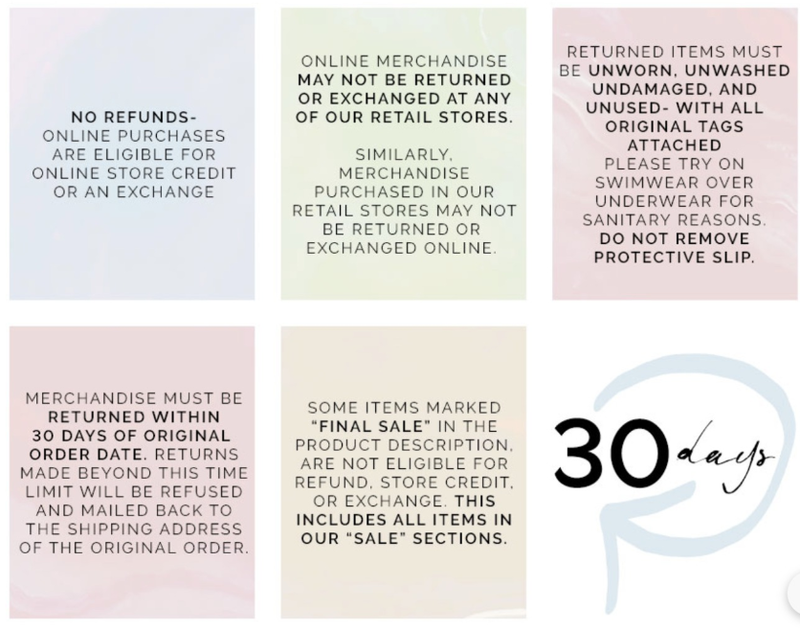 San Lorenzo Bikini does this extremely well on their Return policy page. They use design and clear language to comunicate their policy. As you can image, returning a purchase is not a fun experience. Particularly if you have to pay for the shipping cost. 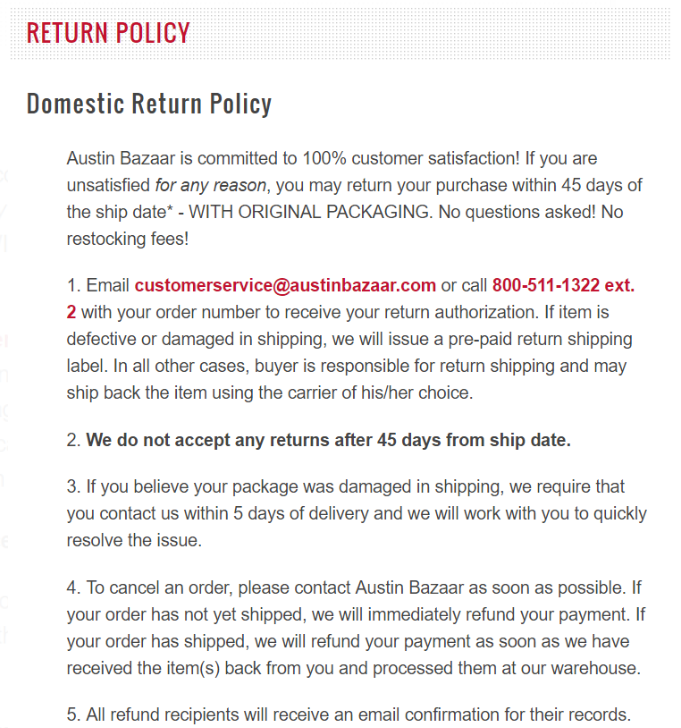 Austin Bazaar makes it clear that returns are totally free for customers. Furthermore if there was a mistake or accident with the order, they will even pay for the shipping costs both ways. Another good strategy is to help customers providing different options to arrange their own return. In other words keeping returns a low effort experience keeps customers coming back in the future. That’s why they offer a concierge return service for a small price. Simply email their support team and you’ll never need to think about the return. 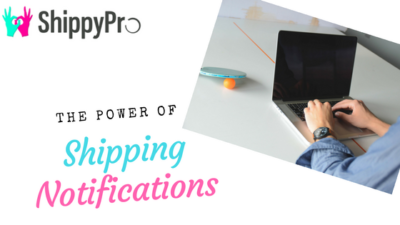 In conclusion we have seen how an effective return policy can help your business increase customer satisfaction, its loyalty and the conversion rate at the time of purchase. Then we analyzed what are the best guidelines to follow to draw up a return policy that makes management of returns simple from the point of view of the company and that of the customer. Finally we analyzed some cases of how these guidelines can be applied to the different business sectors. 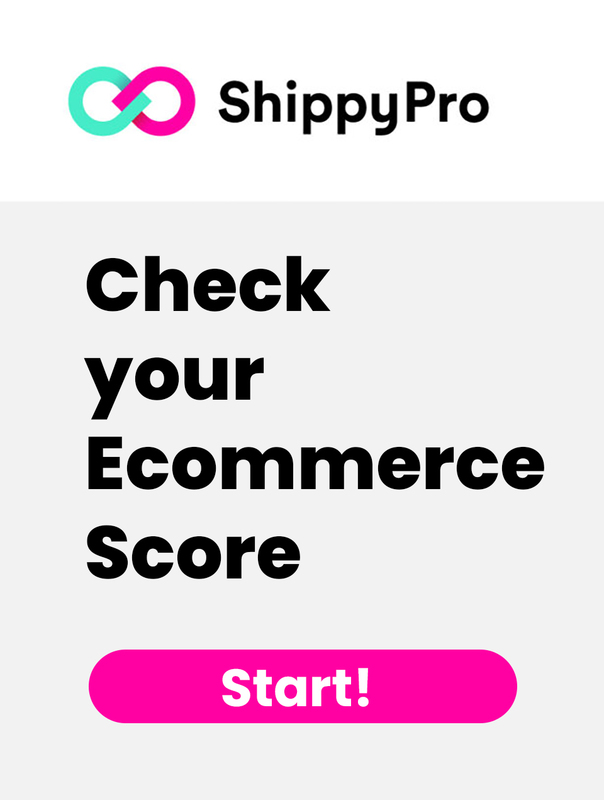 Now it’s time for you to write your own Ecommerce Return Policy!